Days of Our Lives spoilers tease that once Kristen DiMera (Stacy Haiduk) has been eliminated as a suspect in the attempted murder of Dr. Marlena Evans, (Deidre Hall). Diana Colville Cooper (Judith Evans) might now seek to silence the only other person she could try to frame, and that’s Nurse Shelly Santos (Alyssa Mann). On the March 14th episode of DOOL, Diana and Shelly pretty much came to a stalemate. They both had something they could blackmail the other with. Even if Kristen DiMera is found alive, the police won’t find any evidence of her having been in Salem, let alone at the hospital. Days of Our Lives viewers will recall that the last time Kristen was known to be alive was when the warehouse burned down in Nashville where Brady Black (Eric Martsolf) and Eric Brady (Greg Vaughn) attempted to save Nicole Walker (Adrienne Zucker) from an explosion and fire. Kristen is presumed to have died there, but so was Xander Cook Kiriakis, (Paul Telfer). Xander showed up alive a few months ago with Jack Deveraux (Matthew Ashford) in tow, so it seems death is never permanent among Salemites. However, Kristen will more than likely be eliminated as a suspect or person of interest, and once she has been, Diana’s only recourse may be to shut Shelly up permanently and leave town. John Black (Drake Hogestyn) called police immediately to issue an APB (All Points Bulletin) for Kristen, after Nurse Shelly, implicated her. 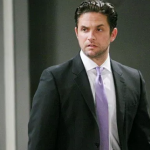 Other Days of Our Lives spoilers tease that once John completes his own investigation, all roads will lead to Diana and he’ll realize that she is the one who poisoned Marlena with penicillin. Diana attempted to draw attention away from herself as an eventual suspect by trying to comfort John. She even pretended to show concern for Marlena. John responded by telling her Marlena was safe, with a guard at her hospital door. Observant Days of Our Lives viewers will have noticed that unfortunately, before that guard was placed, and while Shelly was talking to John, Diana probably injected Marlena’s IV bag, which had just been changed with more penicillin. Salem Hospital University staff and John will know that Shelly didn’t do it, because she was telling them the Kristen story at the time. But they will notice Diana had been hanging around the hospital an awful lot. Diana, however, knows that under pressure from the police, Shelly might spill what she knows anyway. So she might just try to kill her to shut her up! Stay tuned to Days of Our Lives and keep checking Days of Our Lives spoilers frequently to see all the latest news, spoilers and updates in the town of Salem.